December 29, 2018: Whoooaaaa, scared my mule! 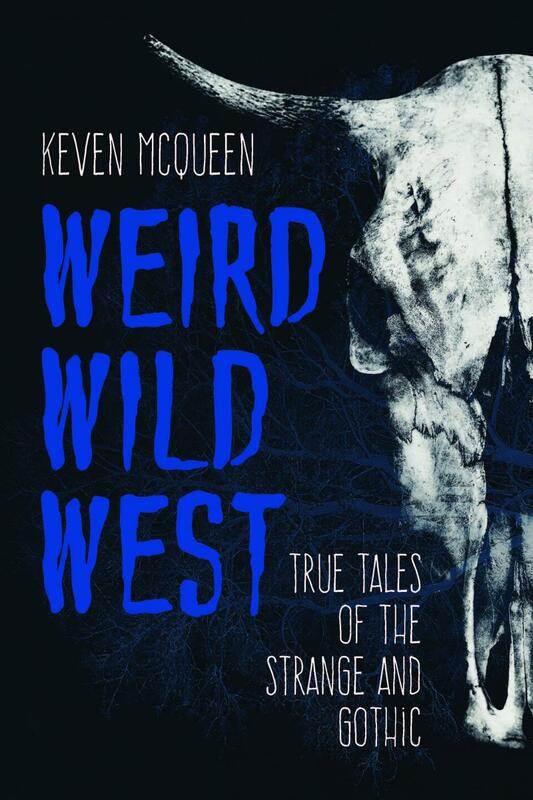 My next book from Indiana University Press is Weird Wild West and the cover art has been released! I really like it, think it has a vaguely 1960s paperback look to it. It comes out in September 2019, but--chuckle!--you can preorder it if you want to: http://www.iupress.indiana.edu/advanced_search_result.php? 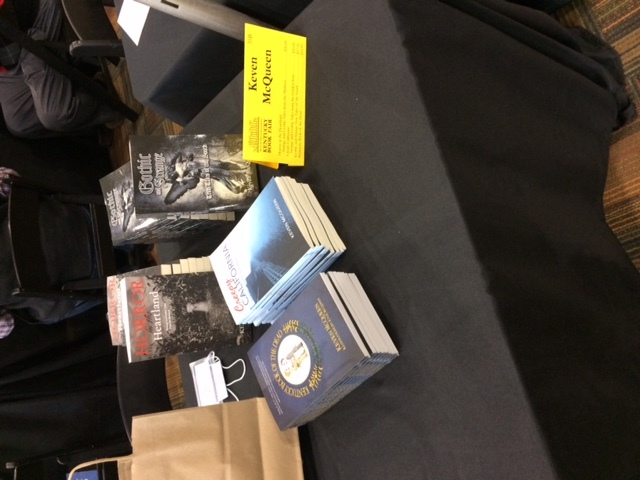 October 21, 2018: I had a great time yesterday at the Books By the Banks festival at Duke Energy Convention Center in Cincinnati! They do such a wonderful job organizing the event. I hope I get to go back next year when Weird Wild West is out. October 8, 2018: Here is the link to hear my interview with EKU Voices from a few days ago! Thanks to Carrie Lewis and Co. for a fun interview that covered a lot of territory. The Daviess County Public Library's poster! Many thanks to Wesley Johnson. September 11, 2018: Lots of personal appearances, events and interviews coming up! 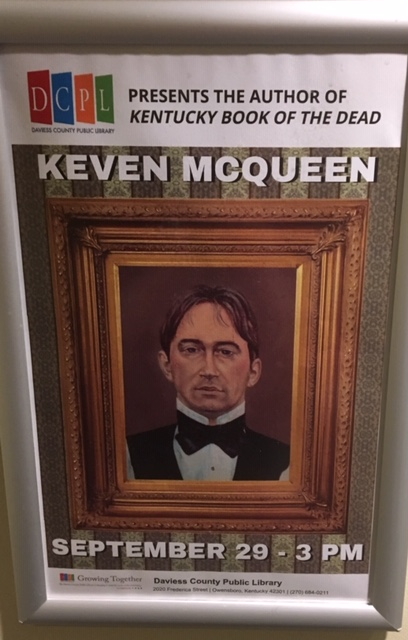 * September 29: Discussing Kentucky Book of the Dead, among other things, at the Daviess County Public Library at 3:00 (CST). Address: 2020 Frederica Street, Owensboro, KY.
* October 11, 4:00 EST, 3:00 CST, 2:00 MST, 1:00 PST: Another podcast interview with two of my favorite interviewers, Tamara Thorne and Alistair Cross of "Thorne and Cross Haunted Nights LIVE!" More details coming soon. * October 20: Books by the Banks at Cincinnati's Duke Energy Center, 10 a.m.-4 p.m. Address: 525 Elm Street. * October 25: Discussion of Mary Shelley's 1818 novel Frankenstein at the Laurel County [KY] Public Library, 6:00-7:30. 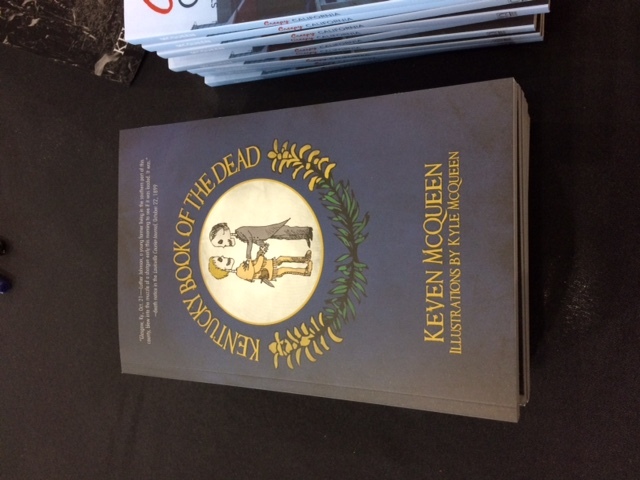 * October 28: Signing of Kentucky Book of the Dead at Barnes and Noble on Man-O-War in Lexington, KY, 1:00-3:00. Address: 1932 Pavilion Way. * November 17: Kentucky Book Fair at the Kentucky Horse Park's Alltech Arena! Address: 4089 Iron Works Parkway, Lexington. June 29, 2018: I had a great time speaking for the Bluegrass Confidential series at the Warren County Public Library (Kirby Branch) last night! The crowd was large, they had a great sense of humor, and they asked good questions. Thanks to Rob Hankins for arranging it! ALSO: Indiana University Press has accepted the latest book in my "American Gothic" series, covering the Western states. It will be out in fall 2019. Watch for updates on title, cover, release date, etc.! Press's official release date for New England Nightmares in September ! It's not too early to pre-order it,though: http://www.iupress.indiana.edu/advanced_search_result.php? December 27, 2017: I will be doing a two-hour live online interview about the book Horror in the Heartland (Indiana University Press, 2017) on the Paranormal View show, via para-x.com/CBS Radio. It will be held from 8 p.m.-10 p.m. on Saturday, February 3, 2018. Watch this space for updates as the date draws closer and feel free to check out the websites for The Paranormal View https://theparanormalview.com/ and IUP: http://www.iupress.indiana.edu/advanced_search_result.php? December 1, 2017: Here's a sneak preview of the cover of my next book, New England Nightmares, coming from Indiana University Press most likely in summer 2018! This one covers New England and the other Northern states. 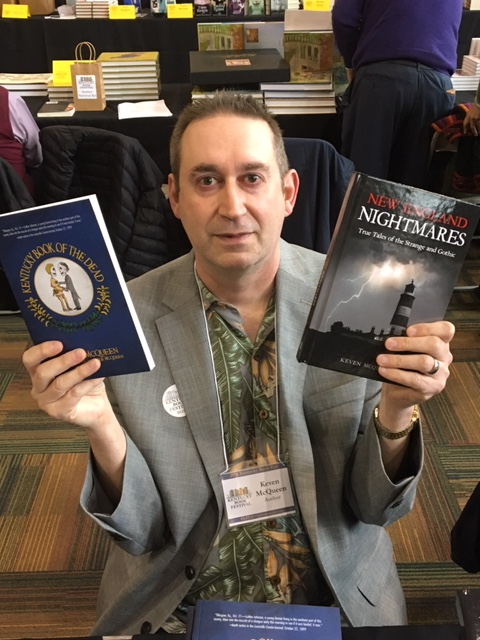 November 18, 2017: Had a wonderful time at the 36th Annual Kentucky Book Fair! And for now that concludes my book signing world tour. (Okay, it was three states, but still.) 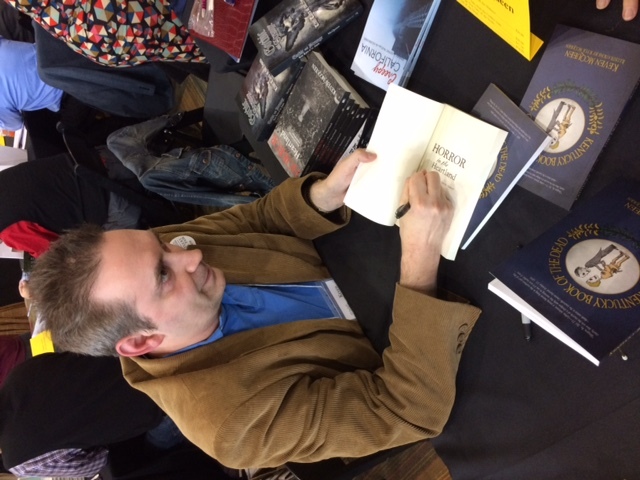 This was one of the best book signings I ever had, with 34 books sold among four titles, one of which sold almost completely out. Several people whom I hadn't seen in a while came to the Book Fair specifically to see me. I also discovered that Kentucky Book of the Dead has gone into its third printing. Thanks to the Book Fair organizers and patrons for making it a great day! interesting read; in fact I provided a blurb for it. Check out the YouTube ad for Mr. Bruns’s book! 1. JTR was a disorganized serial killer who found his victims by happenstance and avoided capture chiefly due to sheer luck. Holmes, on the other hand, was the epitome of the organized serial killer. He even built a hotel to make killing people easier. They don't come more organized than that! 2. JTR killed women only; Holmes killed men every once in a while if there was money to be made from it. 3. JTR's motives were obviously sexual; Holmes, while he enjoyed murdering, was chiefly in it for the money. In fact, I would argue that Holmes was a mass murderer rather than a serial killer because his eye was always foremost on financial gain. 4. The victimology is radically different for each man. JTR exclusively preyed on prostitutes. Holmes's female victims, while too gullible for their own good, were not prostitutes. 5. JTR always strangled his victims, then mutilated them. That was his obsession. Holmes, on the other hand, employed a wide variety of methods. It could be argued that Holmes also cut up certain victims, but note the difference: he didn't sexually mutilate them as JTR did. He dissected them professionally (he had a medical degree) and then sold their skeletons to medical schools (see no. 3 above). 6. About this dress allegedly belonging to a Ripper victim, which made a splash in the news a couple of years ago: what is its provenance? Do we know for certain that it belonged to a JTR victim? Even if that could be guaranteed, was the dress kept in climate-controlled storage since 1888? If not, any DNA found on it would be highly suspect. And how would the Ripper's DNA get on the dress in the first place? He didn't sexually molest his victims, so unless he slobbered on the dress or accidentally cut himself while committing the murder, it seems highly unlikely his DNA would be on it. 7. The Ripper intimately knew the alleys and streets of Whitechapel, suggesting that he was a longtime resident. If the "American Ripper" folks are correct and Holmes went to Whitechapel, he could have stayed there only a few weeks at most. How did he become so familiar with the area so quickly? 8. The show argues that Holmes resembled the very few fleeting glimpses eyewitnesses had of the Ripper. News flash: London was teeming with short guys with moustaches in 1888. The show also argues that JTR's notorious "Dear Boss" letter must have been written by an American since it includes American slang phrases. 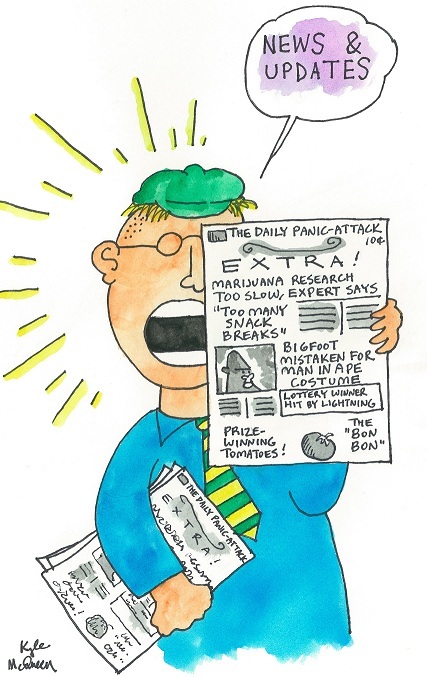 Unfortunately for that thesis, the letter was almost certainly a hoax concocted by a contemporary British journalist. The "American Ripper" people are making the same fundamental mistake crime author Patricia Cornwell made several years ago when she based her theory about the Ripper's identity on the assumption that the letter was authentic. It might be added that at the height of the Ripper panic, an American in Whitechapel would have stood out and been instantly suspected--in fact, several were. 9. After Holmes was arrested he bragged incessantly about the enormity of his crimes to the point of writing an autobiography. He even confessed to murders he didn't actually commit. I think if he actually had been Jack the Ripper he would have boasted about it. What did he have to lose? He was about to be hanged anyway! August 11, 2017: I was the facilitator at the Murder and Mayhem in Kentucky series at the Laurel County Public Library last night and had a great time! The source book we used was Appalachian Murders and Mysteries, a 2016 anthology published by the Jesse Stuart Foundation. June 17, 2017: Max Dawson of Rockport, IN, heard about Louisville's Bonnie and Clyde (Howard Clark and Mattie Belle Mahoney, as discussed in a chapter in Louisville Murder and Mayhem) and was struck by the fact that Mattie is buried in an unmarked grave, probably as a mark of disgrace. 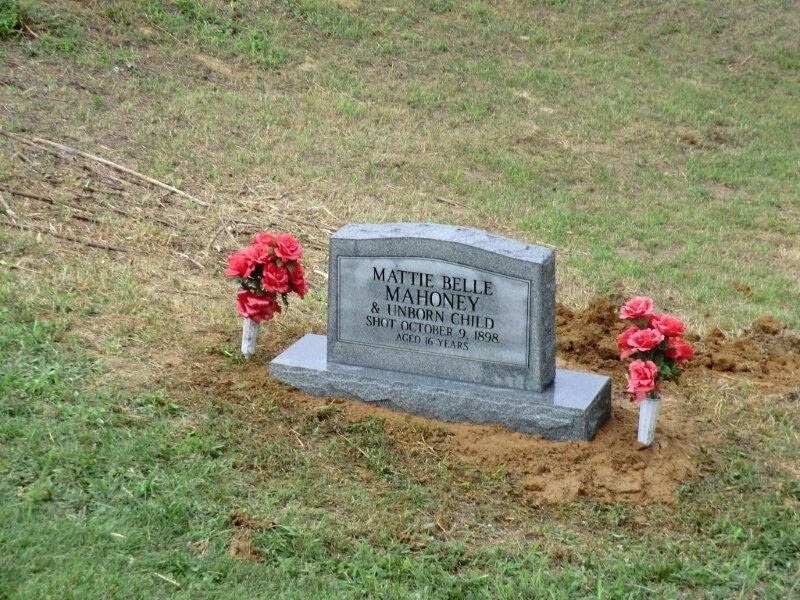 Mr. Dawson did some research, found Mattie's gravesite, and has purchased a tombstone for her and her unborn child. November 21, 2016: The “American Gothic” book series continues. 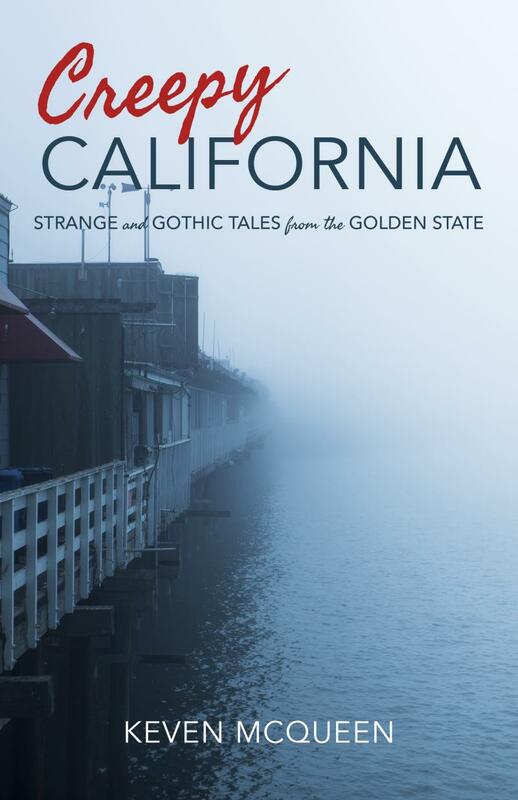 Here is an advance peek at the covers of my next two books, Horror in the Heartland: Strange and Gothic Tales from the Midwest and Creepy California: Strange and Gothic Tales from the Golden State, both to be published by Indiana University Press in summer 2017! 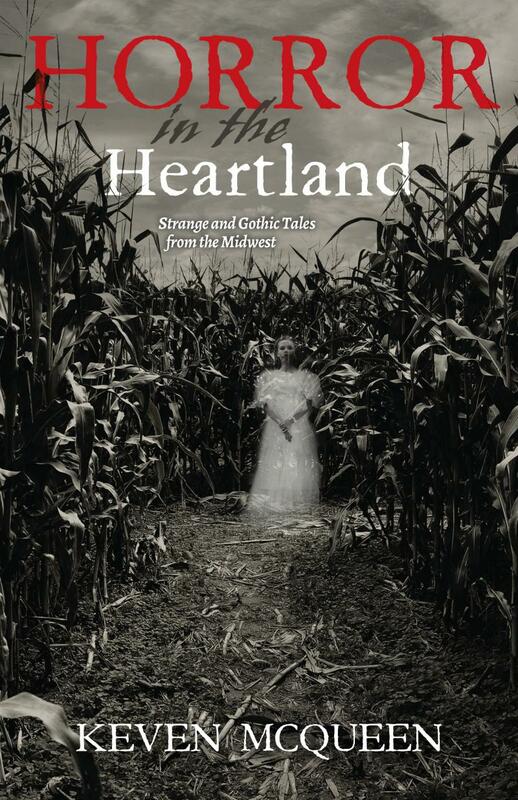 August 3, 2016: Indiana University Press is changing the title of my book to Horror in the Heartland: Strange and Gothic Tales from the Midwest. Keep checking here for updates! June 12, 2015: Those who are interested in tornadoes may be interested in Robert Hubbard's new book about that rare meteorological phenomenon, the New England tornado. It is called A History of Connecticut's Deadliest Tornadoes and you can buy it at this link. 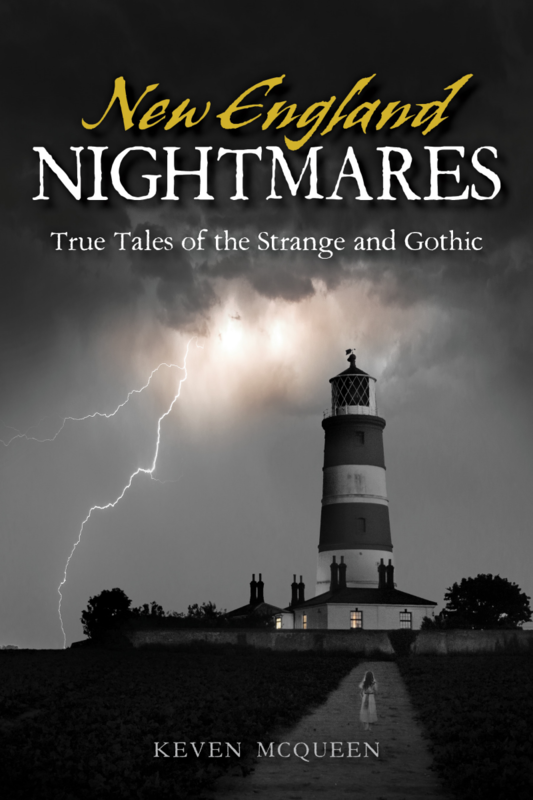 September 24, 2014: My next book, Gothic and Strange True Tales of the South--which I consider my best (and strangest) book to date--will be released by Pelican Publishing on March 16, 2015! If you liked Kentucky Book of the Dead you’ll like this one too; it’s a KBOD-style book that covers the entire South. In fact, it contains a lot of material that wouldn’t fit in KBOD. (It’s the first in a series of four planned “American Gothic” books that will cover the entire USA by region.) You can pre-order it at the link below; I’m sure it will be available as an e-book too. I am trying to persuade the publisher to release it in scroll form for people who are technologically backward like me. August 10, 2014: Readers of my book Louisville Murder and Mayhem might remember the chapter "Louisville's Bonnie and Clyde," concerning the criminal career of lovers Howard Clark and Mattie Mahoney. In the chapter I referred to a wanted poster that made some amusingly invidious comments about Mr. Clark. I have just heard from Mr. Thomas Kellam, an archivist at Tarrant County [TX] College. The college has a collection of original wanted posters-- and one of them is a poster for Clark and Mahoney! My guess is that it's the only one left in the world. 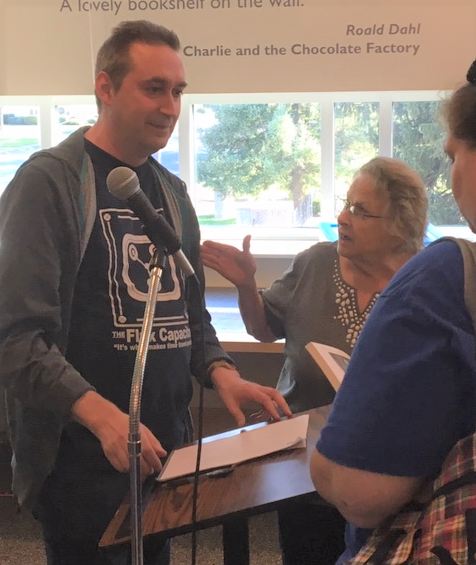 JULY 23, 2014: Speech on the books Louisville Murder and Mayhem and Murder and Mayhem in Indiana (and on writing history in general and methods of historical research) at the Jefferson County Public Law Library in Louisville! JANUARY 28, 2014: Click the link to read to my interview with Jane Ammeson at the Northwest Indiana Times website! ALSO: On February 17, I will be speaking live with Pat and Carol Daniels on their "The Fringe Radio Show" on KTKK AM630 in Salt Lake City, Utah. KTKK is the third oldest talk radio station in the country, which I (ever the history buff) find interesting. We will be discussing topics such as ghosts, murders, and paranormal stuff--these are a few of my favorite things! The show will air at midnight Mountain Standard Time. Afterwards the interview will be archived on their website, www.TheFringeradioshow.com , so you can still hear it if you don’t live in that time zone. JANUARY 15, 2014: I will be appearing on Jeff Belanger’s Massachusetts cable/web talk show “30 Odd Minutes” on Tuesday, February 4, 8:00-8:30 EST. The show is streamed online live at www.30oddminutes.com for a global audience. Within 24 hours, the episode will be available on the 30 Odd Minutes Web site for free on-demand viewing and is uploaded to iTunes for free downloading. It will also be available on Roku, YouTube, and Blip.tv. Additionally, the episode will be uploaded to a special Web site where over 100 public access stations reaching over 5 million homes across the USA can download the show for their channels. (You can see a partial list of stations at http://www.30oddminutes.com/wheretowatch.shtml .) The show is also broadcast on Sky TV’s Channel 200 “Controversial TV” in the UK and in Ireland reaching another 2 million homes. In other words, I’d better not screw this up! 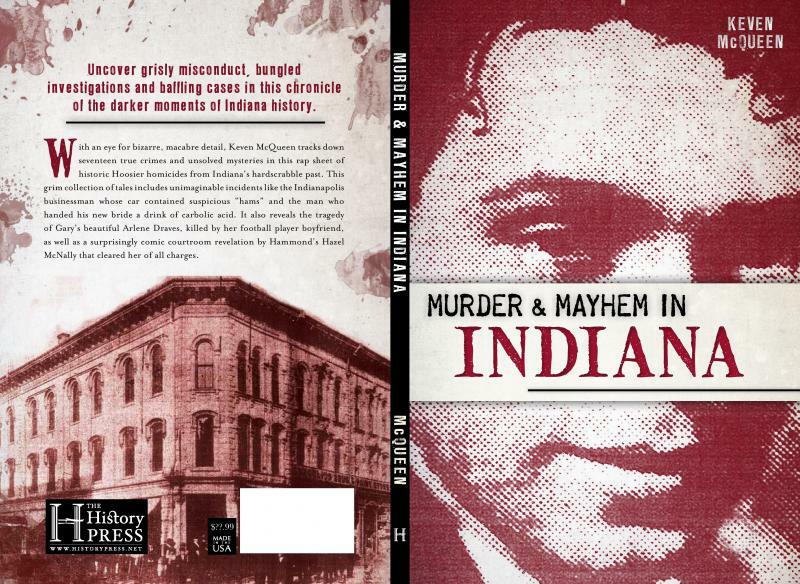 JANUARY 4, 2014: My newest historical true crime book, Murder and Mayhem in Indiana, was originally scheduled to come out in April. Instead, History Press is releasing it within the next couple of weeks! It will be available directly from Historypress.net, Amazon.com, Barnes and Noble, and lots of other online retailers—also at your local bookstore if you request it. It will also be available as an e-book, if not now then in the near future. Makes a great wedding present or a gift for small children! a crime spree and died in a hail of bullets. Readers of the chapter will remember that Mahoney's mother refused to pay for her burial. When I wrote the book I had no idea what became of Mahoney's remains, but reader Janet Mackey-Bodine informs me that Mahoney was simply buried by the side of the road near the spot where she died! She has a page at the FindAGrave website with a photo of the location. Click here if interested. June 23, 2013: I am happy to announce that Forgotten Tales of Indiana (one of my personal favorites of my books) is now availible as an e-book, and will be availible for sale via Amazon (Kindle), Barnes & Noble (Nook), and Apple's iBookstore (iPad). Free hula lesson with purchase! October 25, 2012: Come to the Kentucky Book Fair at the Frankfort Convention Center on Saturday, November 10, between 9:00 a.m. and 4:00 p.m. Books make good Christmas gifts (hint, hint). This is very possibly the last Book Fair I will attend, for various reasons, so I hope to see you there. October 25, 2012: Kentucky Book of the Dead is now available as an e-book, and will be available for sale via Amazon (on the Kindle), Barnes & Noble (on the Nook) and Apple’s iBookstore (on the iPad). Buy it and I promise I will autograph your gadget’s screen witha magic marker! September 6, 2012: Strange Tales of Crime and Murder in Southern Indiana (the History Press, 2009) is now available as an e-book, and will be available for sale via Amazon (on the Kindle), Barnes & Noble (on the Nook) and Apple’s iBookstore (on the iPad). July 8, 2012:Click on the link to read about my appearance at the Clarksville Writers' Conference back on June 8. Yes, I bought that spiffy coat just for the occasion. June 8, 2012: Been to the Clarksville [TN.] Writers’ Conference and it was a blast, my friends! April 29, 2012: If you are a Berea College graduate, look for an interview with me in the latest issue of Berea College Magazine. If you are not a Berea College graduate, enroll immediately and maybe you'll get a free issue. Or keep checking this link; it may be posted online sometime. 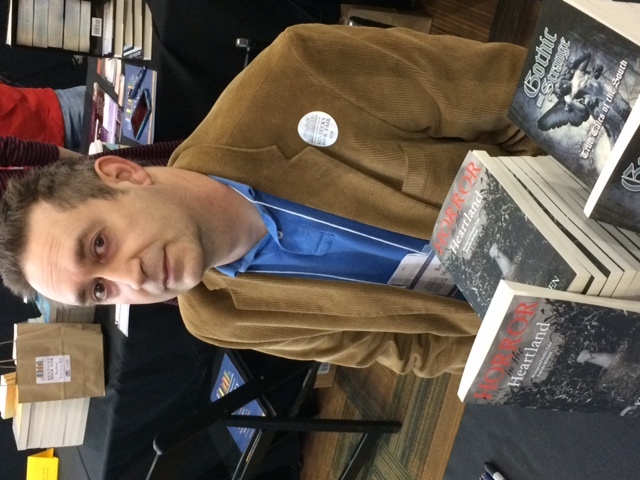 April 20, 2012: I will sign copies of The Axman Came from Hell Saturday at the Southern Kentucky Book Fest (654 Campbell Lane, Bowling Green, KY) from 9:00 a.m. to 3:00 p.m. Don’t be shy--be there!! March 15, 2012: If you live in the region of Richmond, KY, come see me tonight at 6:30 at the Richmond Area Arts Council building! The address is 399 West Water Street, Richmond. I will read a chapter from Louisville Murder and Mayhem: Historic Crimes of Derby City. ALSO IN ATTENDANCE: Charles Bracelen Flood, world famous historian!!! He will read from his biography of Ulysses S. Grant. March 14, 2012: I will be conducting a workshop on creative nonfiction at the prestigious Clarksville Writers Conference in Clarksville, TN, on June 8. Also, I will be demonstrating how to dance the Mashed Potato! February 28, 2012: My new book Louisville Murder and Mayhem: Historic Crimes of Derby City has been released by the History Press! You can buy it at a bookstore near you or at any number on online retailers, including Amazon.com. Copyright 2016 Keven McQueen Stories. All rights reserved.